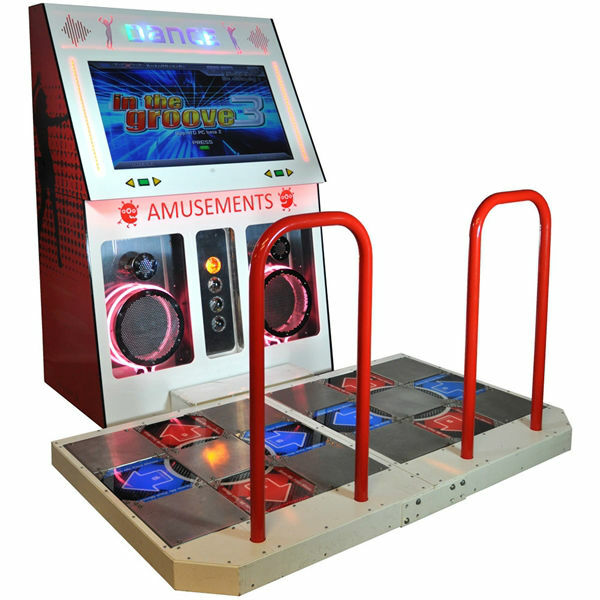 The Dance Stage Arcade Game is a dance machine which will be sure to bring that something special to your event! 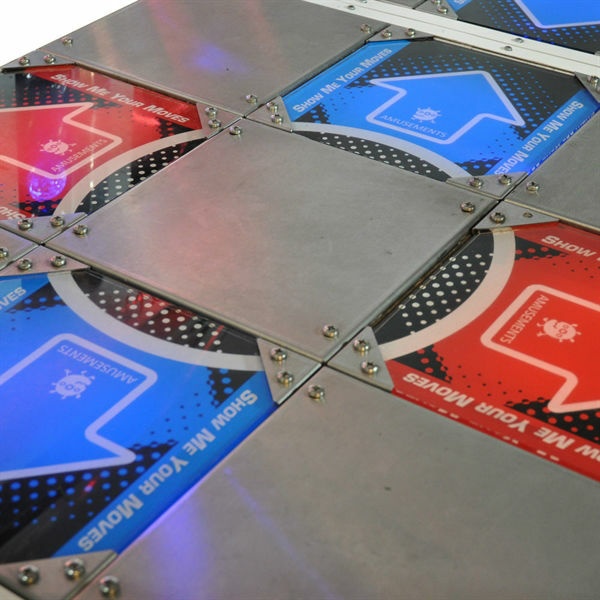 Spinning its way into Europe is the ultimate dance machine, Dancing Stage Fusion. Magnetised by cool tunes and vibrant graphics, players can strut their stuff in the limelight with onlookers soaking in the atmosphere while waiting for a turn. 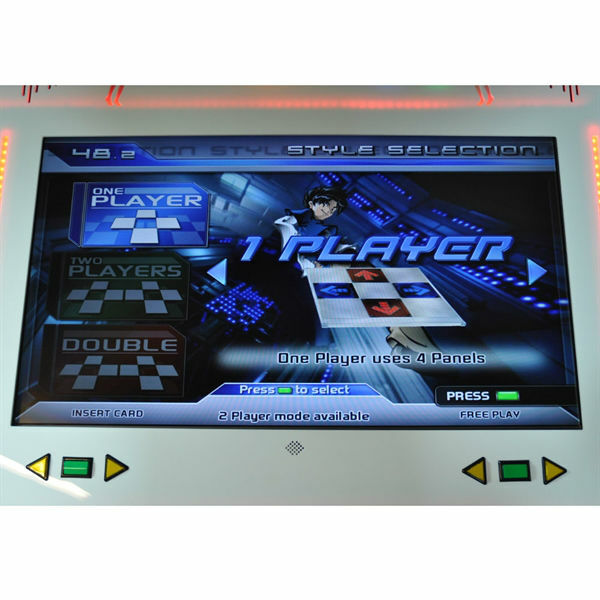 With energetic, hip grinding toe-tapping action, players will be queuing up to dance on the Dance Stage Fusion Arcade Game. 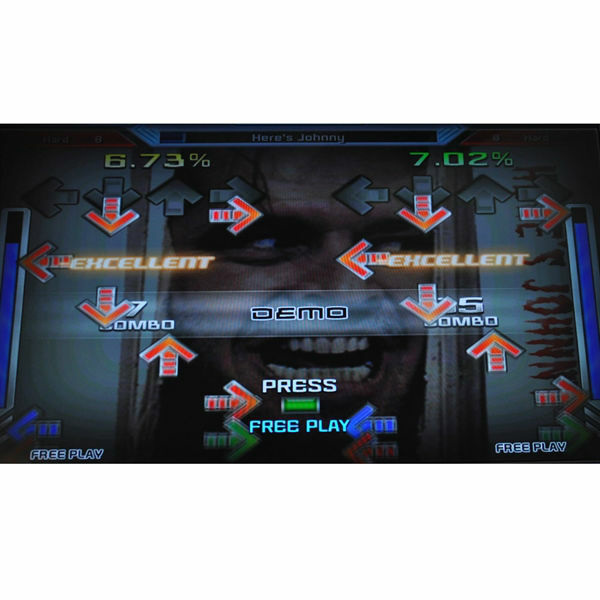 Smash hits from Sugababes, Geri Halliwell and other well known artists give the Dance Stage Fusion arcade game the best selection of tracks to date. 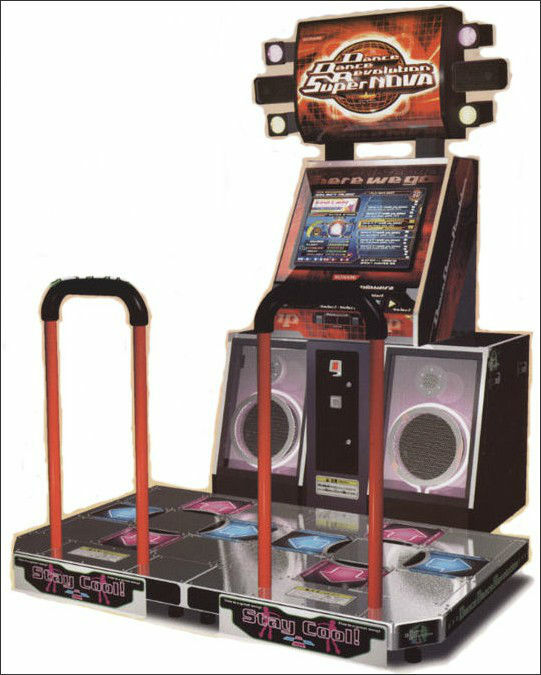 The latest offering from the number one dancing game series in the world (Dancing Stage / Dance Revolution) is the Dancing Stage Supernova arcade machine. 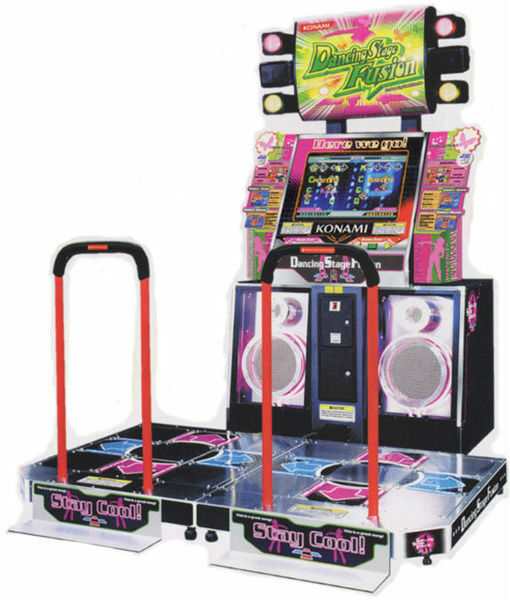 Set to reach stellar income levels this dance arcade machine has everything that the players are looking for and more!! 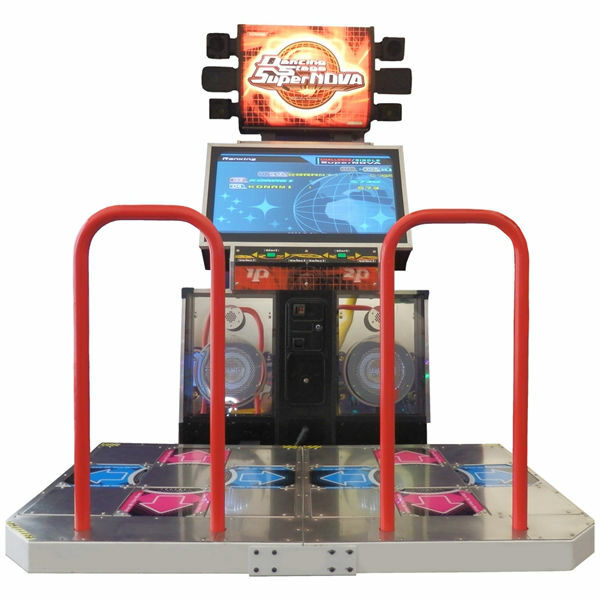 Crammed with new features, advanced graphics, global tournament system and over 300 music tracks, some new and some of the best tracks from the previous games, the Dance Stage Supernova arcade game is set to blow the competition away! Width: 180cm, depth: 210cm, height: 230cm.